West Virginia House Judiciary Chairman Del. John Shott hands over the articles of impeachment to the Senate last month. 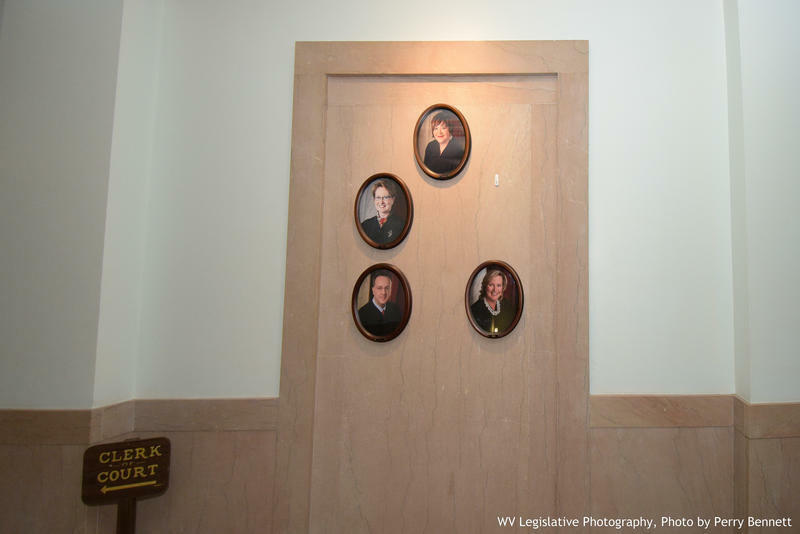 Tuesday morning, 30 men and four women will walk into the chamber of the West Virginia Senate to participate in historic proceedings– proceedings that haven’t been conducted in the state since 1875, not long after its founding. Those 34 Senators will take an oath to become 34 jurors and hear evidence in cases for the impeachment of three current and one former member of the West Virginia Supreme Court. “I think it’s one of the most grave things that a Senate can undertake,” Senate Judiciary Chair Sen. Charles Trump said just hours after the body had adopted the rules of the upcoming proceedings last month. The three sitting and one recently retired member of the state’s highest court are accused of a variety of missteps— from spending millions of taxpayers’ dollars to renovate their offices to align with personal taste to overpaying retired judges who continued to hear cases to using state property for personal gain. 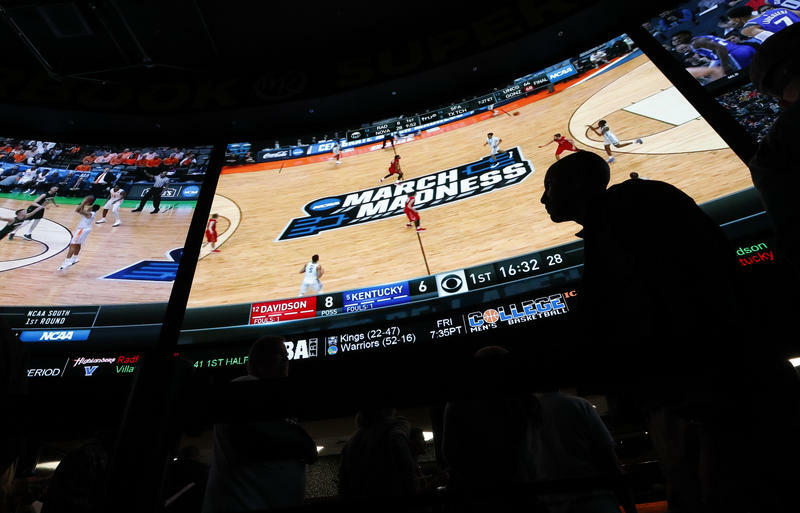 But the details of their malfeasance, while important to the trials and the future of three of the four’s standings with the court, are likely of only passing interest to those outside of West Virginia’s boundaries. Judicial experts, however, note the importance of the proceedings, particularly in the nation’s current political climate, and this is why they say you should be paying attention to what happens in West Virginia in the coming hours, days and potentially, weeks. It’s a term not unfamiliar to many Americans, especially those who are avid watchers of politics or the legal system. Precedent. It’s a principle or rule laid out to guide decision making in future, similar circumstances, and according to Dr. G. Terry Madonna, Director of the Center for Politics and Public Affairs at Franklin and Marshall College, that is exactly what West Virginia lawmakers are doing. In fact, West Virginia Senators had very little precedent to follow as they conceived their own rules for impeachment proceedings. In 1875, the Senate conducted impeachment trials for a West Virginia auditor and treasurer, according to Trump, and he and his staff looked to the rules laid out before the body in those proceedings to guide them today. More than 100 years later, in 1989, the upper chamber drafted a set of rules for the impeachment trial of then-Treasurer A. James Manchin– uncle to current U.S. Sen. Joe Manchin– and Trump said they looked at those rules as well, but with only two examples in the state’s 155-year history, Senate staff had to search outside of the state’s boundaries for help. According to Madonna’s research, 19 people have been impeached in the federal system, including two presidents. Although there have likely been more at the state level, Madonna said with examples of how to conduct impeachment proceedings few and far between, the actions of West Virginia Senators will be important for years to come. That pressure is not lost on Trump. As the public’s eye turns toward West Virginia, Douglas Keith, counsel in the Democracy Program at the Brennan Center for Justice, said asurring that the process protects the integrity and independence of the state’s judicial branch should be of utmost importance to those involved. At the risk of sounding like a high school civics lesson, both the nation’s founders and those of the states that followed in their footsteps, have created a system of government with three co-equal branches. The branches have their own separate authorities, but have been designed with systems of checks and balances to keep the others from overreaching their authority. 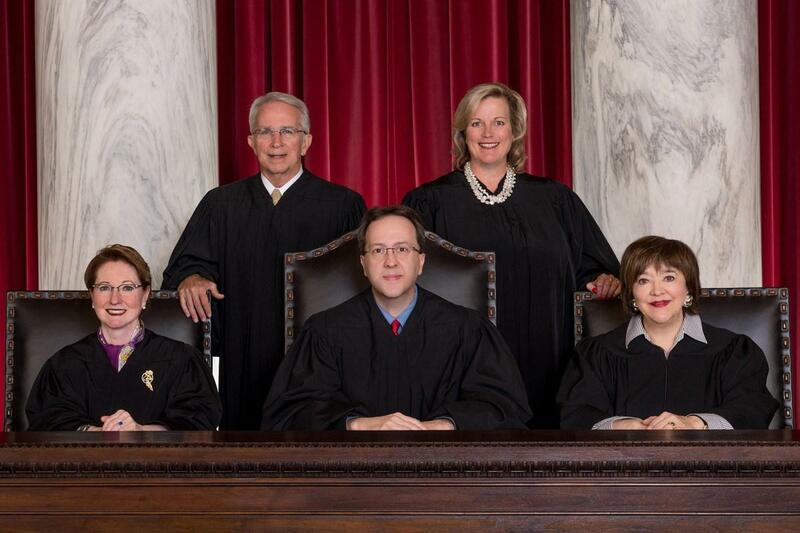 The sitting justices of the West Virginia Supreme Court of Appeals before the impeachment proceedings began including, from left to right, Robin Jean Davis, who has retired, Menis Ketchum, who has retired, Allen Loughry, who has been suspended without pay, Beth Walker and Margaret Workman. Davis, Loughry, Walker and Workman face impeachment in the state Senate. The impeachment proceedings are an example of how the legislative branch can keep both the executive and judicial branches in line, but Keith said, in West Virginia, Senators risk the erosion of the public’s confidence in that system and in the state’s judicial branch if they do not proceed with extreme caution. Or the executive. And that struggle has been reflected in national headlines over the past week as U.S. Supreme Court nominee Brett Kavanaugh began his nomination hearings before the Senate Judiciary Committee. Kavanaugh has written that a sitting U.S. President should not face the distractions of civil or criminal proceedings or the interrogations of a prosecutor while in office, seemingly a conflict as Special Counsel Robert Mueller continues his investigation into Russian interference in the 2016 U.S. elections– elections that put Kavanaugh’s nominator, Pres. Donald Trump, into office. Similarly, West Virginia Republicans have been accused by Democrats of expanding the impeachment proceedings beyond that of former Chief Justice Allen Loughry– who faces a criminal trial in federal court next month for lying to the FBI, wire fraud and other charges– for political gain. The judiciary was the only branch of government in the state still controlled by Democrats, although the Republican-led Legislature passed a law to make judicial elections nonpartisan not long after taking hold of the lawmaking branch in 2015. It is difficult to see, however, how that political pressure can be avoided when the impeachment proceedings themselves take place in a political body and are decided by jurors whose political affiliations are not just known, but are being touted in advertisements for re-election campaigns. Even the word “impeachment” is becoming a polarizing term as it continues to appear in national news coverage of the president on an almost daily basis. While Keith does trust that West Virginia lawmakers have considered and will continue to consider real ethical violations in the cases of West Virginia’s Supreme Court justices, the state isn’t the first to experience calls for the impeachment of judges this year. In February, a group of Pennsylvania lawmakers crafted a memo calling for the impeachment of four of the state’s seven justices. The majority of the court– elected as Democrats– had thrown out the Republican-drawn congressional map, deeming it full of partisan gerrymandering. The calls for impeachment came to an end as prominent Republicans in Pennsylvania argued to protect the independence of the court and against the punishment of judges for decisions in the courtroom, but the word “impeachment” dominated the headlines for months. That, paired with continual coverage of calls for impeachment at the national level, can lead the public to overlook the severity of the process, according to Keith. “I do think there is a real risk with the impeachment calls coming out the states at the clip that they are this year that impeachment will be increasingly seen as just another political device,” he said, “and not some very serious endeavor for legislatures to undertake in only the most serious scenarios of criminal and ethical misconduct. 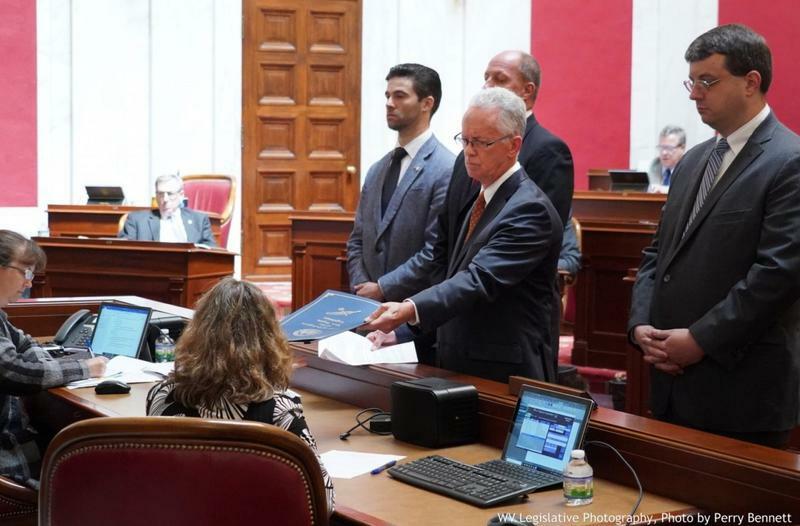 Two West Virginia Supreme Court justices awaiting impeachment trials have filed motions with the state Senate ahead of pre-trial proceedings. Attorneys for Chief Justice Margaret Workman and Justice Beth Walker filed motions with the Senate Clerk's office Friday, with Workman asking for her trial to begin after mid-October and Walker asking for her case to be dismissed altogether. 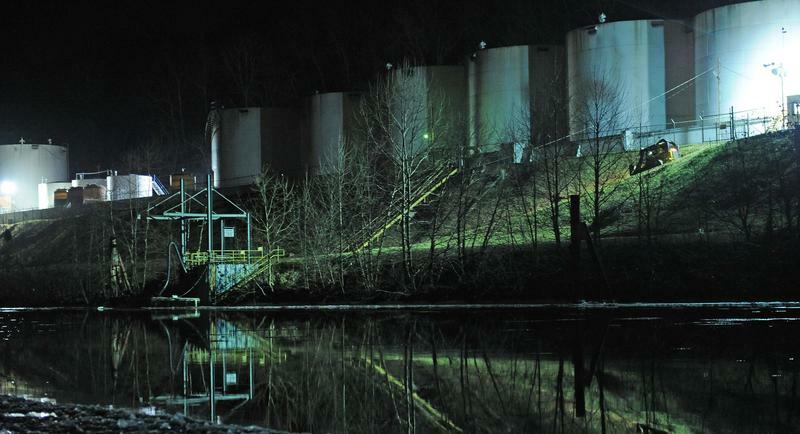 People affected by a 2014 chemical spill into a West Virginia river will soon receive their first batch of settlement checks from a class-action lawsuit.